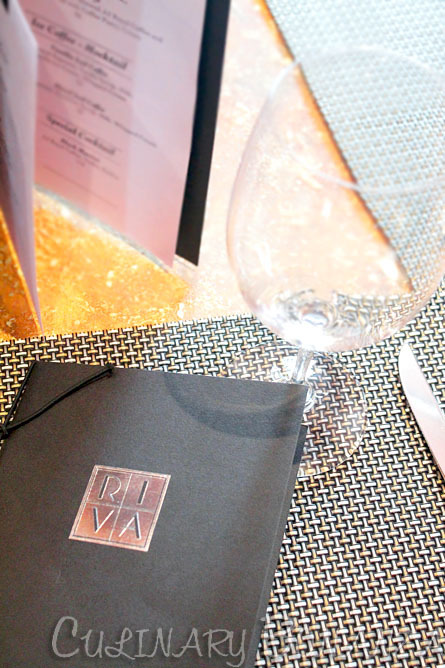 Riva Bistro & Bar is not a new name Jakarta’s haute dining scene. Over the recent years since 2010, Riva has consistently received a prestigious Award of Excellence by Wine Spectator, New York-based Wine Magazine. To achieve an award is remarkable, but to maintain it, is an entirely different game, which most would agree, not an easy feat. Riva's consistent Award of Excellence is indeed, worth gloating about. Since its inception, 15 years ago, Riva is currently entering a volatile age, where progressing to its teetering and awkward teen years may make or break it. Nonetheless, Riva seems to be doing it right with the arrival of a young French-Vietnamese cuisinière Mickael Do Van, who has experienced working in 2 and 3 Michelin stars restaurants in Paris, France. Chef de Cuisine Mickael will inject Riva with his youthful, dynamic and creativity, while at the same time, maintaining the distinct identity that distinguished patrons had come to recognize Riva as. 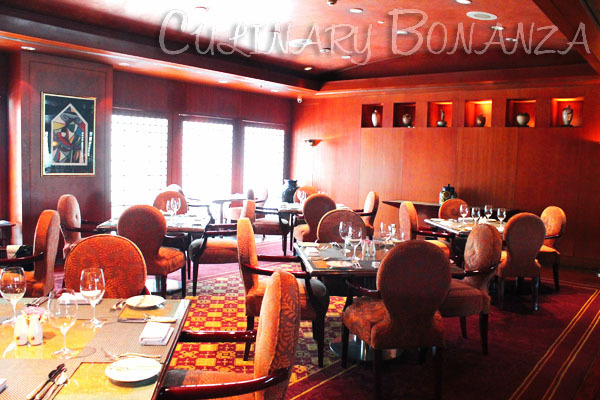 Until the end of November 2012, diners and guests are invited to savour Riva and JJ Royal Coffee's Coffee-Paired Set Menu. It is a brilliant collaboration between two classy brands to appeal to not just caffeine addicts, but also to everyone, coffee connoisseurs or not, you will enjoy the following delightful coffee-themed set menu. JJ Royal Coffee, Vodka and Kahlua. 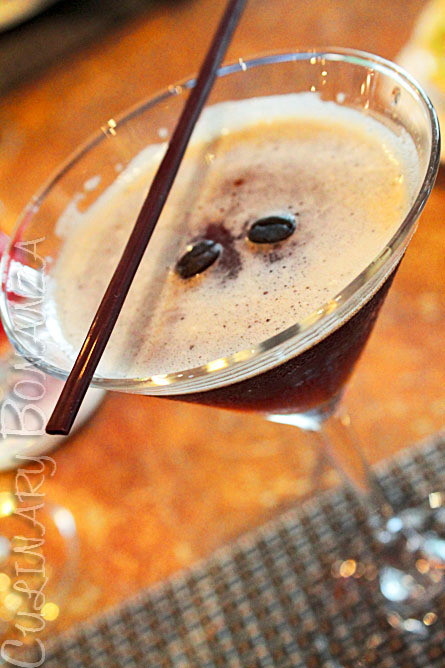 A cocktail that is light on the palate, with delicate balance of each components, Black Martini will titilate your taste buds before the feast begins. 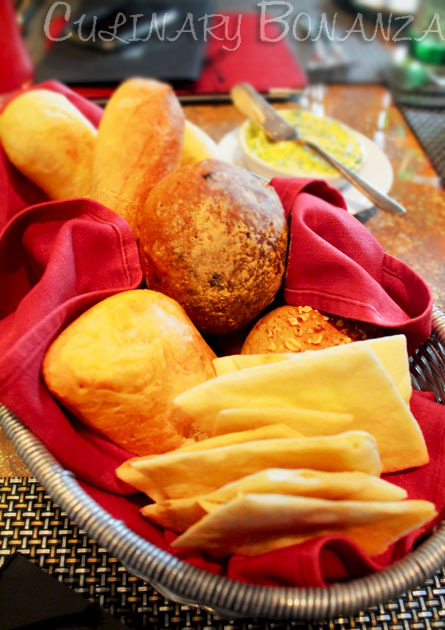 Complimentary French Bread Basket. 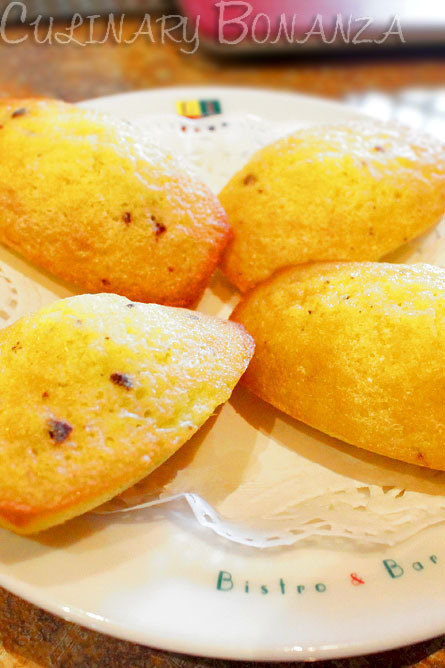 Ms. Desiree Merlina recommends that you try the potato bread, a signature of Riva. This dish is like an orchestra, so many contrasting elements, yet complement each other in a beautiful harmony like a symphony. The base is escargot bits mixed with lentils, spiced with coffee. 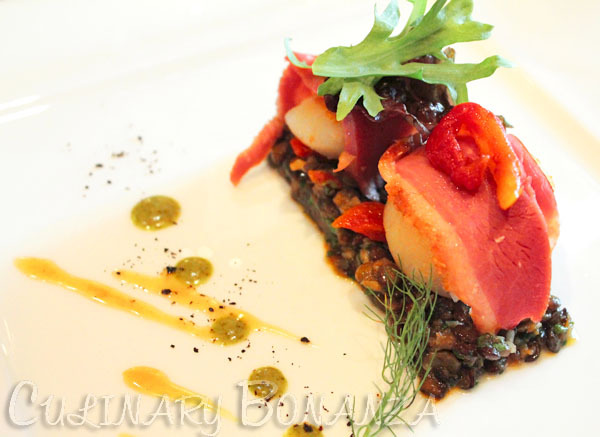 On top of it is pan-seared scallop, smoked salted duck (medium well) and tomato confit. Garnished with vinegar sauce and jus d'escargot. I am not a fan of escargot, but I finished the esacrgot-lentils layer with gusto! I love the perfect balance between the mollusk and crunchy lentils to create rough yet slippery texture. At a glance, the main course actually looked (and tasted like steak!) But it is actually a slab of roast duck (I chose medium well), that Mickael himself sliced evenly to about 1cm thickness. Duck is not my preferred meat, so I thought I'd drench the steak in the sauce made with the duck juice, peach and coffee. I was wrong! My prejudices about duck was totally disproved by Mickael's creative presentation. 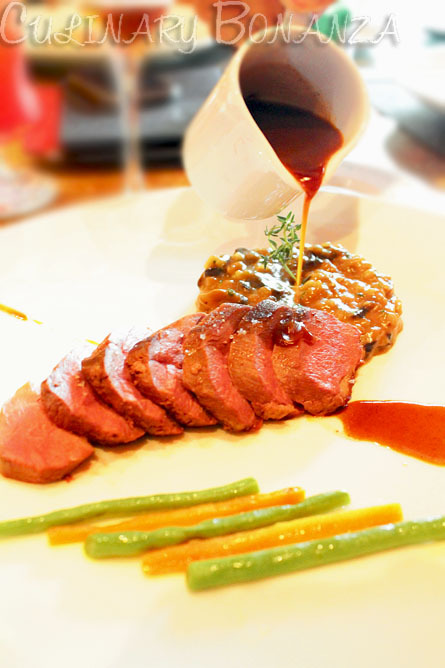 The duck steak came served with mushroom risotto stewed with coffee. None of the dishes previously could beat the distinct coffee scent in the caramel coloured risotto. C'est bon! My oh my! The most awaited moment finally came. When I read the word parfait, I had imagined a mountain of ice cream buried in a myriad of toppings. So I was surprised to find that it is actually not (entirely only) ice cream. 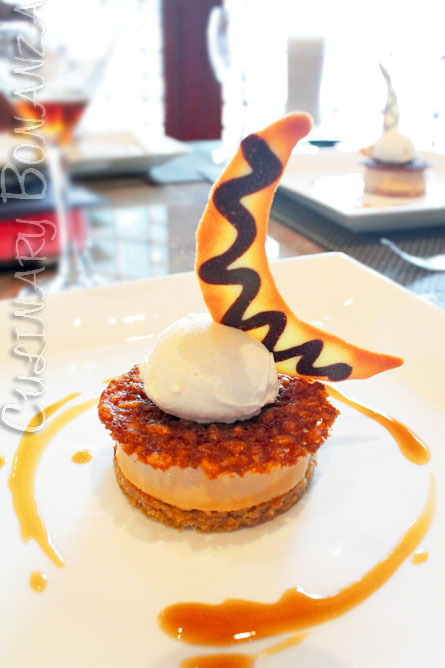 The base is sponge cake soaked in coffee, balancing delicately on top of it is espresso panna cotta, capped by a lovely crispy caramel rice lace, topped with in-house vanilla ice cream and garnished with crescent-shaped biscuit. 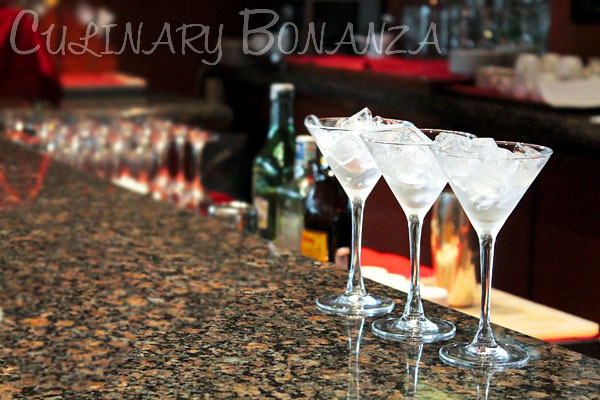 You can savour the above set for IDR 750,000++ /person | IDR 700,000 /person (for prestige members). Lunch: 11.30 - 14.30 (Monday to Friday) | Closed for lunch on Saturday, Sunday and Public Holidays. 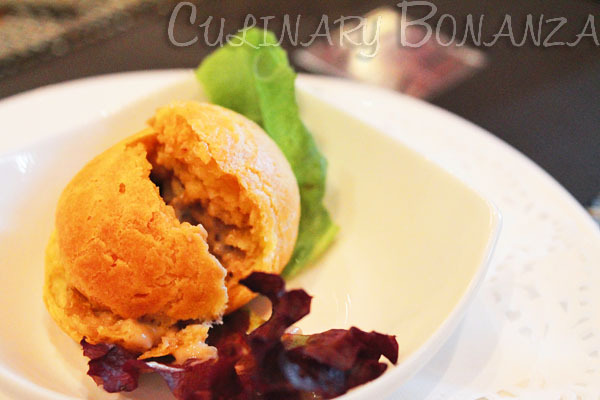 Dinner: 18.00 - 23.00 (Monday to Saturday) | Closed for dinner on Sundays.